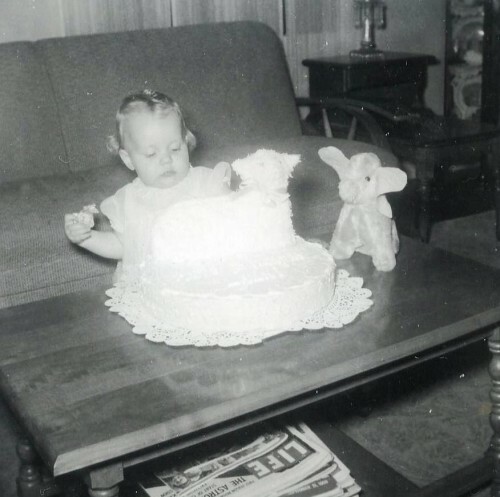 My daddy made this cute little lamby cake because he was a professional chef and he had a very cool, cast iron mold and…well…he knew what he was doing. About fifteen years after this photo was taken I was thinking that I was pretty darn smart and persuaded my mom to sneak the lamb mold out of my dad’s shop and let me borrow it for my Foods class. It would be incredible and we’d certainly impress everybody and get an A+ for our efforts. Seriously, how hard could it be? I mean after all, my dad was a chef. Surely some of his skills would have rubbed off on me–wouldn’t you think? It was all going quite nicely and according to our plan. The lamb cake baked up just fine and came out of the mold pretty well–except for that one part of his left foot. No big deal, we’d just fill in the hole with frosting and no one would be the wiser. All three of us pitched in to iced the darn thing and even threw a few wads of coconut on for extra effect. Oh, yeah, it was perfect. So in our haughty delight, we skipped up to the teacher for our grade but just as we approached her desk–you know–to be handed our A+, the wretched lamb’s dopey frosted, coconutty head fell off. Plop. Just like that. There must be some kind of adrenalin or endorphin or something the floods the system in a crisis such as this, that causes uncontrollable, manic laughter–you know, the wheezing, snorting kind. We whirled around and ran back to the prep table and tried, through our hysteria, to paste the cake head back in place with more…frosting. Oh, hush. It seemed like a good idea at the time. But no. The ugly thing slid right back off and this time it broke in half besides. 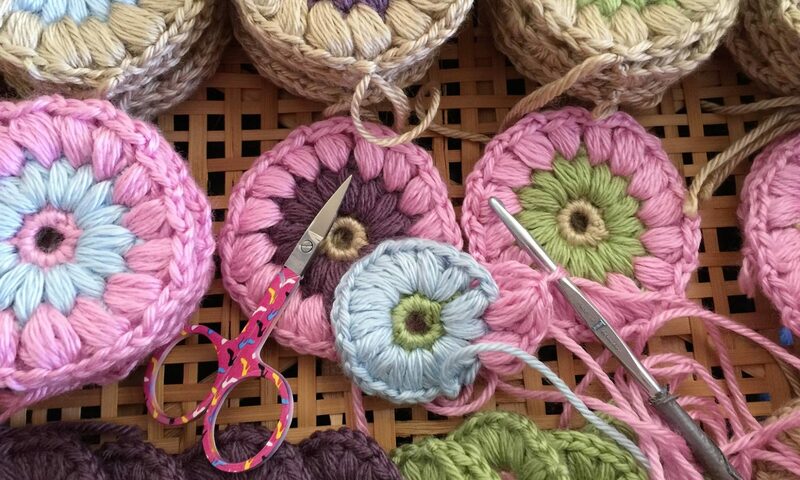 One of the girls–Debbie, I think it was–came up with the brilliant idea to poke it all back together with toothpicks–and that seemed to do the trick. Never underestimate the holding power of 750 carefully placed toothpicks. Just when we finished our masterpiece the teacher came by and made an attempt to slice a piece of the ear off to taste. We screamed at her…all of us…at one time. Scared the poor lady half to death. But we were imagining the school newspaper headlines, reading, “Home Ec Teacher Impaled By Pick Infused Lamb Head…” and we just couldn’t risk it. I think she thought that we were protecting the cuteness of our creation with no idea we were actually saving her life. So, to be more considerate, she took a slice out of the foot–the left foot and buzzed from our kitchen. “Other than the fact that the left foot was made entirely from frosting, I have to say that your lovely lamb cake held up quite well. Usually, the head falls off. You seriously need to write a book. Well…uh…other than the ones you already wrote. You have some great stories! Where were you when I had to make projects for home ec??? Usually, I had to make something totally ordinary, like cheesecake, for my grade! 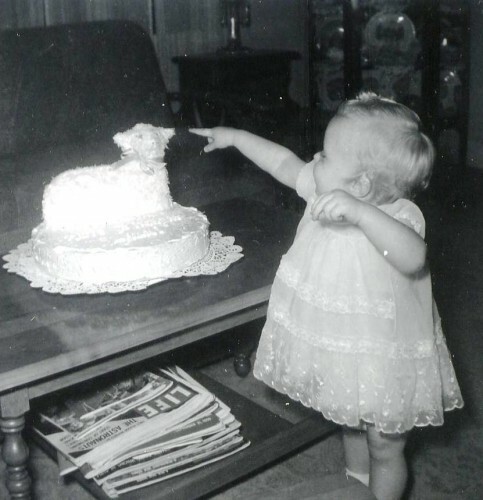 I never got to do something so cool as a lamb cake! (maybe that was a good thing, huh??) Love it and haven’t stopped laughing yet!